Thanks everyone for such nice comments on my card with the trophy and flowers. Honestly one of my favorite things I have made lately...oh, but I did really like the Big Top mixed media piece. No worries, there is always room for more favorites! Today I thought I would try another color of Distress Glitter to create a really easy card. I cut two pieces of chipboard using the Frameworks Courtyard die. I needed two pieces because I want the pattern to run all the way across the card (one full and one with just two sections). I rubbed Stormy Sky Distress Ink over the top...super easy, just turn the pad over onto the shape, and rub. I dried it with the Heat it tool before moving on. This is my favorite part...when you get to add the Distress Glitter. Teeny tiny circles make up the glitter, so it's important to let them dry in the glue. Resist the urge press the glitter into the glue or it will loose the cool effect. Once set, just tap off excess and slide the leftover glitter back into the jar. I think Frameworks and Distress Glitter are a match made in heaven. They just go together! I made a simple card using light colored cardstock and paper from the Mini Stash - collage (8 x 8"). This is a scaled down version of paper from the French Industrial Paper Stash. I added a few pieces of Ephemera from the Ephemera Pack - Thrift Shop (my favorite rose). 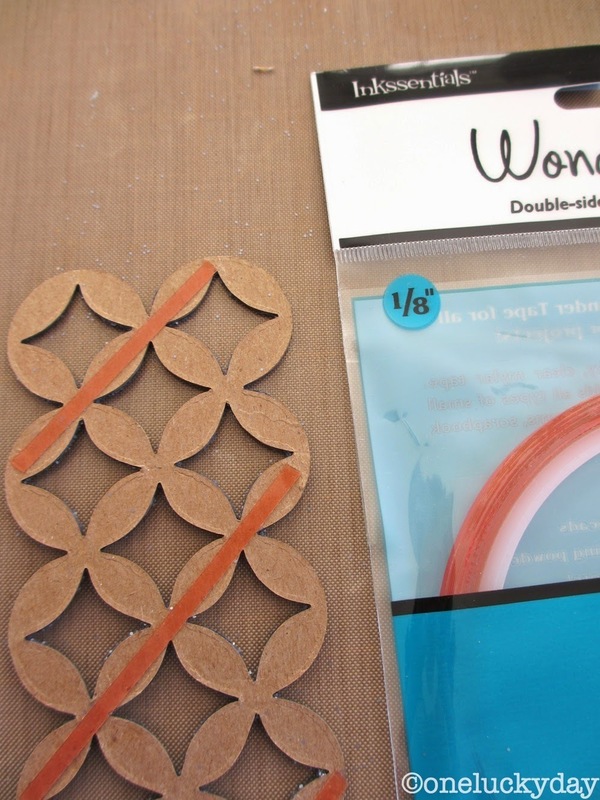 Then I added the Frameworks pieces - The 1/8" Wonder Tape fits right across the back of the pattern. Next, some Crinkle Ribbon I previously tea dyed. Then I stitched on another piece from the Ephemera pack. And finally a vintage velvet flower (one of those, "why didn't I buy more of those?" moments), Wire Pin and Heart Charm with a sweet sentiment. Again, super simple to make, yet it looks impressive with the Courtyard die running across the front. Well, by the time you read this post I will have made my way across the country to Quilt Market. Looking forward to setting the booth and seeing all the projects that have been made (in person). Also, a weekend with Tim and Mario is never a bad thing...I know, lucky girl, lucky girl. This is such a uniquely beautiful card! Gosh, I just love this! Another beauty! I loved the trophy one too...any of your girly creations actually! This is wonderful...am running off to copy. TFS as always. You're the BEST. Wonderful Paula, another stunner! Love the addition of the ribbon to the glittered frameworks! Weather your throwing a card together or a display at CHA, the results are always the same; gorgeous! Love your creative touch and thank you for sharing. It always makes me so happy. 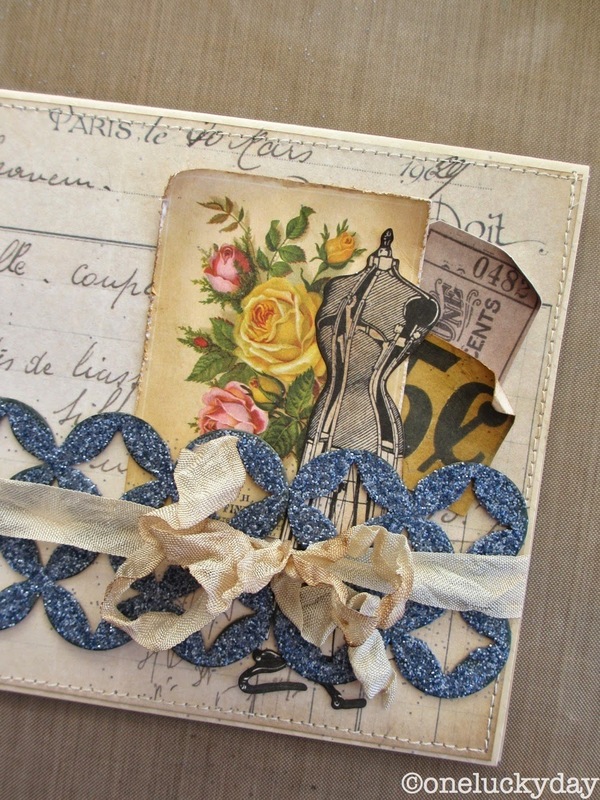 Your selection of all the pieces for this card is just perfect! I must find some time to play soon! Gorgeous Paula. Question, what kind of glue do you use to adhere the glitter? Is glossy accents your preferred glue for glitter? I'm a little nervous about using glitter on projects but the outcome is worth the risk. Right? I would squeal with delight if this showed up in my mailbox. Your work is so gorgeous. Thanks so much for sharing all of the wonderful photos and product info! The booth was amazing - so much hard work and dedication! Thanks for the opportunity to share in the excitement! i love seeing the photos; makes my mouth water. i plan to make a roman shade for my husband's home office with the new world map fabric. i made one for my happy place using the melange fabric and love it. thanks for the chance to win. very cool card - now to play with my supplies... and stop drooling over them.